Dear friends, I am in the process of changing my blog from Blogger to WordPress. Please bare with me as I navigate through these changes and try to figure things out. This Summer has gone by much to quickly and I have several projects to share with you very soon. In the mean time…one quick tip for those of you that are collecting pinecones for your Holiday decor and DIY projects. Remember to bake the bugs out of them. Bake the pinecones in a 200 degree oven for about 45 minutes!! Have fun!! 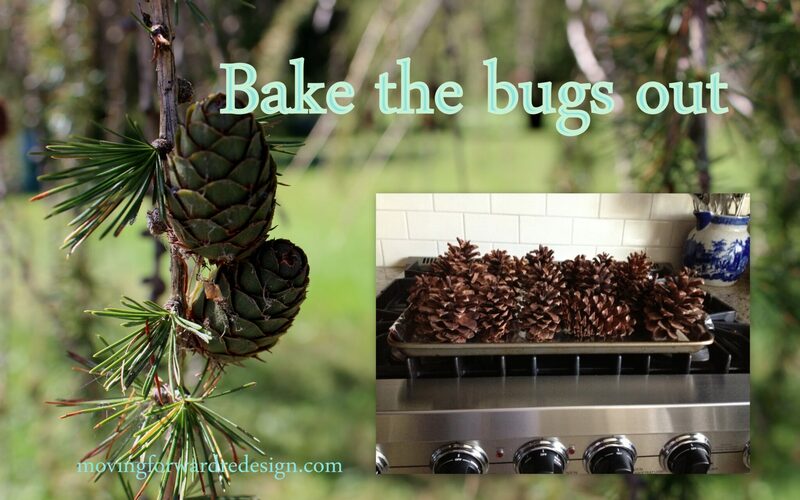 Oh my, I have seen so many pine cone projects lately and hadn’t considered baking the bugs out… Thank you for the great tip!